Know any Bama fans in Phoenix? Tell'em to keep their eyes on the road. Some Auburn fans in Arizona’s capital are experiencing deja vu thanks to one company’s choice to ride the wave of Auburn’s national popularity for as long as it can. On Thursday, reports of Auburn buses being spotted on Phoenix-area roads began to circulate on Twitter. Eyebrows were raised. Theories shared. No, says Associate Auburn AD Scott Carr, it’s not a victory lap. Actually, it’s now down to just two. Walz said the company continues to receive compliments about the buses’ appearances and has no timetable for removing the wraps. 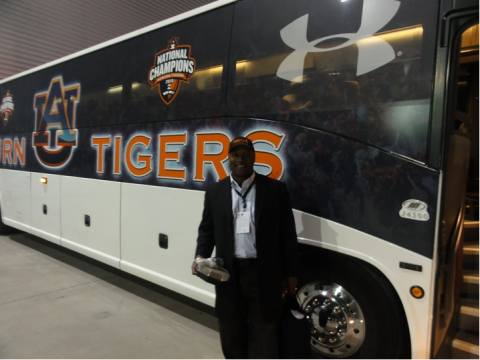 Auburn players autographed the side of one of the buses — the ‘S’ of “Tigers” features the signatures of Ted Roof, Lee Ziemba, Cam Newton, and some guy named Bo Jackson, #34. 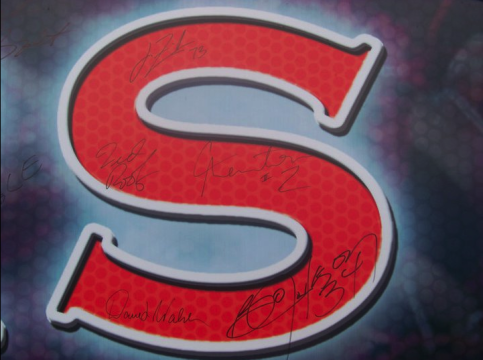 Judging by the looks of things, Bo was the first one in line for the Sharpie. Photos courtesy American Explorer Motorcoach. Thanks to @GRITSGAL, she of the Cam Newton poolside spotting, for the tip! That S is gonna be worth a looooooot of money someday. I think this is super cool! I would love to be one of those bus drivers, or even one of the riders! I think it promotes the community, and is a great promotion for American Explorer coach! Unfortunately right now we need all the good publicity we can get. One helluva week and a half for Auburn football. 5 players arrested, 5 players dismissed from the team. It’s good to see a great story FOR Auburn. Are these busses still in Arizona? I live in Glendale and am a huge AU fan. 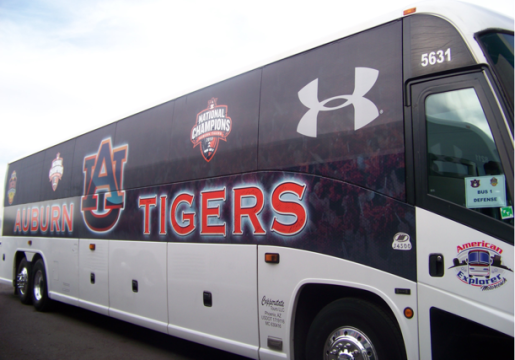 I saw these busses in the months after the game last year but nothing recently.. war eagle!